What books are on your bookshelves? – My thoughts on a page. Yesterday I spent time clearing out the mountain of books that were littering a spare room. I’d a new bookcase in my bedroom, sitting empty, just waiting. I began by creating two piles. One for those I’d either never read (my daughters or husbands books) or had read but disliked, and one for those I’d enjoyed. There were possibly a couple of hundred books but even so it should have taken a relatively short period of time but it didn’t. As I picked up those books I disliked they rested in my hand for a moment before being chucked on the ever increasing pile, judgement passed without a second thought. As I continued other books caught my eye, one’s I’d not seen for years, or I’d forgotten I’d ever read. Time stopped. Standing there I’d read the back blurb, re acquainting myself with the characters and story. Turning them over I’d look at the cover, remembering my first reading, as many of them I’d read more than once. Each of those favoured books I felt so passionate about. My love for them was personal. I was reminded of a post I read on the fabulous Tara Sparling’s blog. Tara is a great writer and prolific reader. She spoke in this post (‘Please don’t ask me to recommend a book for you, it will only hurt us both’) about how she is sometimes asked to recommend a book, but no longer agrees to as what one might love another person seriously dislikes. (If you’re not acquainted with Tara’s blog, do yourself a favour, it’s a laugh out loud read, with the comments providing a secondary source of entertainment). As I looked at my favourite books I mourned the fact no member of my family would ever read them, or even pretend to read them. In fact, given half a chance they would chuck them on their dislike pile without a thought. Working my way through my books I was greatly surprised with the variety I uncovered. There were the classics, Wuthering heights, Pride and Prejudice, Tale of Two cities, The Mayor of Casterbridge, and the less classics, Tuesdays with Morrie, Noughts and Crosses, The Day of the Jackal, The Secret Scripture, to name but a few. I’d also a surprisingly large number of poetry books. As I looked at them did I have my favourites? ‘The Lion, The Witch and The Wardrobe”, by C.S. Lewis, which was the very first book I remember as a ten year old child, that blew me away. 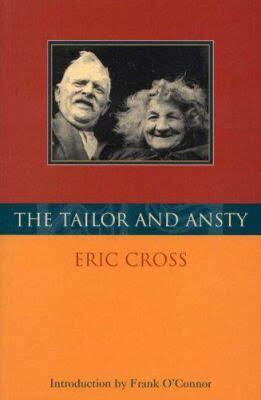 An Irish book called ‘The Tailor and Ansty’. This was written by Eric Cross in 1942 about the Tailor and storyteller Timothy Buckley. It was banned by the Irish Censorship Board because of “its depiction of premarital cohabitation, and its sexual frankness”. The local clergy arrived at Timothy Buckley’s home and forced him to burn his copy of the book. Two books written by men from the now uninhabited Blasket Islands, “Twenty years agrowing”, by Maurice O Sullivan and “The Islandman” by Tomás O Crohan. “Rebecca” by Daphne du Maurier. There were many others but these were my most loved. As I looked at them in their new home a thought struck me. When my children were young and life was very busy I read a lot of books, a lot more than I do now. Why? Because the distraction of the internet was not there. I’ve begun to address this in the past few months and I’m determined to succeed, because I have no desire to look at my next bookcase in ten years time and see empty shelves. I’m curious to know what books you have on your bookshelves that you love or loved above all others? Perhaps not necessarily the best known ones? 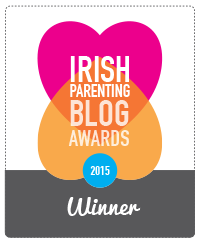 Can you describe parenting in one word? A shout out and a favour to ask. We have a constant struggle to find places to put our many hundreds of books — shelves, cupboards and drawers all full to overflowing, and always at least one book on the go. I could never part with any of them: I read them again and again, which requires care with some of the older paperbacks that are literally falling apart. You are an extraordinarily nice person, Tric – did you know that?! Thanks so much for the shout out. I live in a tiny apartment, so I shelved a whole wall, turning my one hallway into my library, and it’s now my favourite room… Some of the books there have given me a dreadful book hangover – that horrible despondency when a book ends. I only get over it by saying I’ll go back to them. Sometimes I do, but when the To Be Read pile is sky-high, it’s a rare occurrence. Still, I’ll never part with them. quick stock-take revealed . . .
Hmm… My two favorite non-fiction books are easy enough to name: “The Demon-Haunted World” by Carl Sagan and “Guns, Germs and Steel” by Jared Diamond. Fiction is more difficult. I feel like I should lie and say something like “Crime and Punishment” by Fyodor Dostoevsky and “Ulysses” by James Joyce (but only the more difficult chapters). In fact, looking around at my shelves, some of the books I can see that I really enjoyed are “Inverted World” by Christopher Priest, “The Long Goodbye” by Raymond Chandler and “I, Claudius” by Robert Graves. I’m not sure any of them are really my favorites, though. They’re just books I liked and can happen to see at the moment. Oh, maybe “To Kill A Mockingbird” by Harper Lee. That was just such a great book on so many levels. Incidentally, I agree with you about Tara Sparling’s blog. Oh, and I also read a good self-published book by another blogger recently: “Making Friends with the Crocodile” by Mick Canning. You know they say the thing we are most likely to lie about when asked in public is ‘What are you reading at present?’ I think most of us are embarrassed by what our preferred books of choice tell the world. Looking at mine I think it says I’m a bit of a mongrel with a slight preference for Irish authors and poetry. I can well believe that people do sometimes tell fibs about their favorite books. I might have done so myself at one stage, but I’ve given up trying to pretend I’m smarter than I am. It always ends with me meeting someone who’s genuinely smart, and then things just get embarrassing. Incidentally, I’m flattered that you bought Mick’s book on my recommendation. What I liked about it was how authentic his narrative voice was. He really sounded like a middle-aged Indian woman living in a remote village (at least as far as I’m any judge). I began wondering if Mick Canning was actually the fictitious identity. Yes I’m looking forward to it. A very different story too. Hi Tric, sitting at my writing bureau – just some of the books at eye level – The Essential Spike Milligan, The Geronimo campaign, A voyage round John Mottimer, The Phiosophy Book, John McGahern high ground and other stories, Hitting cows with a banjo – Pat Ingoldsby (Pats Hat). Oh Yes and Same Train, Different Track by a little know writer!!!!!! We share a lot of similar interest. I love spike milligan but own none of his books but I do have almost every Pat Ingoldsby’s books and I think I’ve heard of that last one, it’s one of my newest acquisitions. Cheers Tric, glad it arrived safe and well, hope it passes some dark evening with a bottle of vino collapso! You might pick up a copy of Spike on one of those sites – you know the ones? Quite a mix. Isn’t it amazing how much our tastes all differ, but also how varied our individual taste in books is? Rebecca is possibly my favourite book ever. I also find the same as you, I’m reading a lot less these days and must get off the bloody internet when I go to bed and pick up a book.